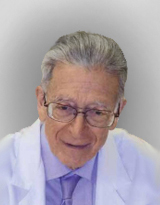 Zykov Valery Petrovich – MD, Professor, Head of Department of Pediatric Neurology. Kashirina Elmira Agasalimovna – Chief Physician of GBUZ MCP No. 110. Naugolnykh Yulia Valerievna – PhD., Head of the Department of Neurology of GBUZ MCP No. 110. 1. Antonov I. P., Shan’ko G. G. Hyperkinesia in children. Questions of etiology, pathogenesis, treatment [Giperkinezy u detei. Voprosy etiologii, patogeneza, lecheniya (in Russian)]. Minsk. 1975; 213 s.
2. Belova E. I. Fundamentals of neuropharmacology [Osnovy neirofarmakologii (in Russian)]. Moscow. 2006; 176 s.
3. Burygina A. D., Andreeva M. K., Kukhnina T. M., Bogdanova L. A. Vopr. kurortologii, fizioterapii i lecheb. fiz. kul’tury. 1993; 5: 42-46. 4. Vidal, reference medicinal products – electronic directory. vidal.ru›drugs/ baclosan_ _1616. Accessed: 06.04.2016. 5. Zenkov L. R., Ronkin M. A. Functional diagnosis of nervous diseases [Funktsional’naya diagnostika nervnykh zabolevanii (in Russian)]. Moscow. 2011; 488 s.
6. Zykov V. P. Childhood Tiki [Tiki detskogo vozrasta (in Russian)]. Moscow. 2002; 163 s.
7. Levin O. S. Tic hyperkinesis. Ex trapyramidal disorders: A guide to diagnosis and treatment. Ed. VN Stock, IA Ivanova-Smolenskaya [Tikoznye giperkinezy. Ekstrapiramidnye rasstroistva: Rukovodstvo po lecheniyu i diagnostike. Pod red. V. N. Shtoka, I. A. Ivanovoi-Smolenskoi (in Russian)]. Moscow. 2002; 313-325; 327-355. 8. Shan’ko G. G. Generalized tick (disease Gilles de la Tourette’s syndrome) in children and adolescents: guidelines [Generalizovannyi tik (bolezn’ Zhill’ de lya Turetta) u detei i podrostkov: metodicheskie rekomendatsii (in Russian)]. Minsk. 1990; 29 s.
9. Electromyography. Workshop on nervous diseases and neurosurgery. nevro-enc. ru›dop-metody…jelektromiografija.html. Accessed: 06.04.2016. 10. Yusevich Yu. S. Electromyography in the clinic of nervous diseases [Elektromiografiya v klinike nervnykh boleznei (in Russian)]. Moscow. 1958; 128. 11. Bamard E. A., Skolnick P., Olsen R. W. et al. International Union of Pharmacology. XV. Subtypes of gamma-aminobutyric acid A receptors: classification on the basis of subunit structure and receptor function. Pharmacol. Rev. 1998; 50 (2): 291-313. 12. Bushara K. O., Malik T., Exonder R. E. The effect of Levetiracetam on essential tremor. Neurology. 2005; 64: 1078-1080. 13. Costa E. From GABAA receptor diversity emerges a unified vision of GABA-ergic inhibition. Annu. Rev. Pharmacol. Toxicol. 1998; 38: 321-350. 14. Dooley M., Plosker G. L. Levetiracetam. A review of its adjunctive use in the partial onself seizures. Drags. 2000; 60: 871-893. 15. Glass G. A., Stankiewics L., Mithoefer A. et al. Levetiracetam forseizures after liver transplantation. Neurology. 2005; 64: 1084-1085. 16. Leckman M. A., Riddle M. T., Hardin S. I., Ort K. l., Swartz J. Stevenson The Yale Global Tic Severity Scale; initial testing of a clinical – rated scale of tic severity. Am Acad Child Adolesc Psychiatry. 1989; 28: 566-573. 17. Yang C. S., Zhang L. N., Zeng L. N., Huang L., Liu Y. T. Topiramate for Tourette’s syndrome in children a meta-analysis. Pediatr. Neurol. 2013 Nov; 49 (5).